How about we go with the "Most Interesting Man in the World". 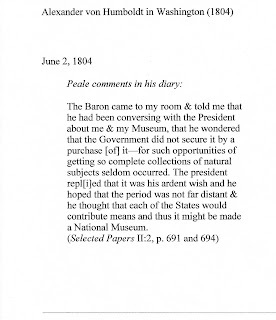 Humboldt traveled to Washington to meet with President Jefferson in 1804. It was as far "west" as he ever traveled in the United States. 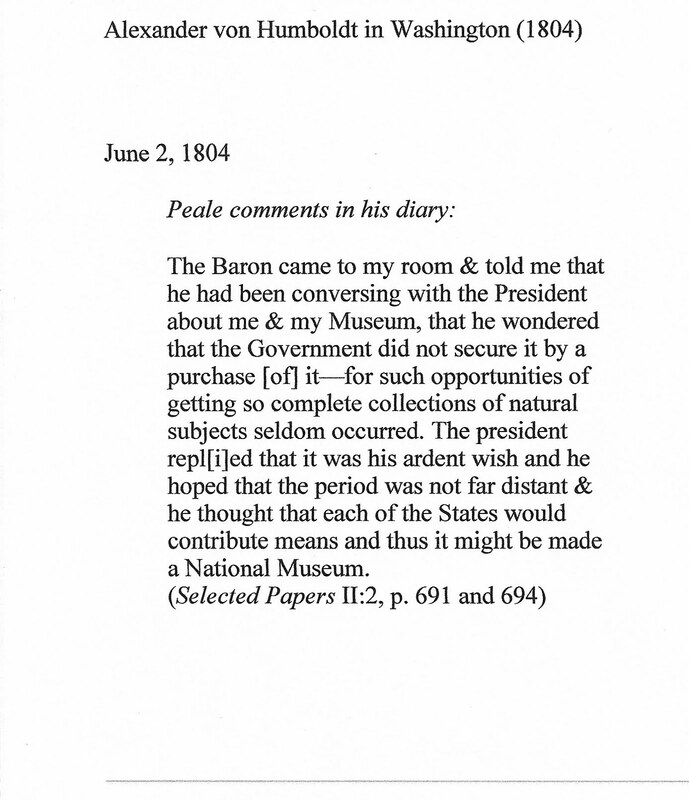 Jefferson was fascinated with Humboldt and wanted to make sure the Lewis & Clark Expedition reports contained everything that would possibly be important. Humboldt spent 6 weeks in Washington and made an impact on the local society. 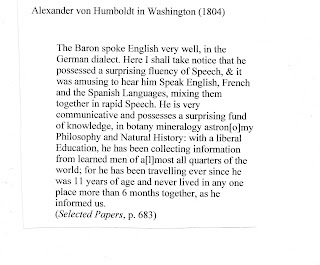 Humboldt apparently spoke his own language. A mixture of several languages. The most interesting man in the world...Dos Equis is about 200 years too late. 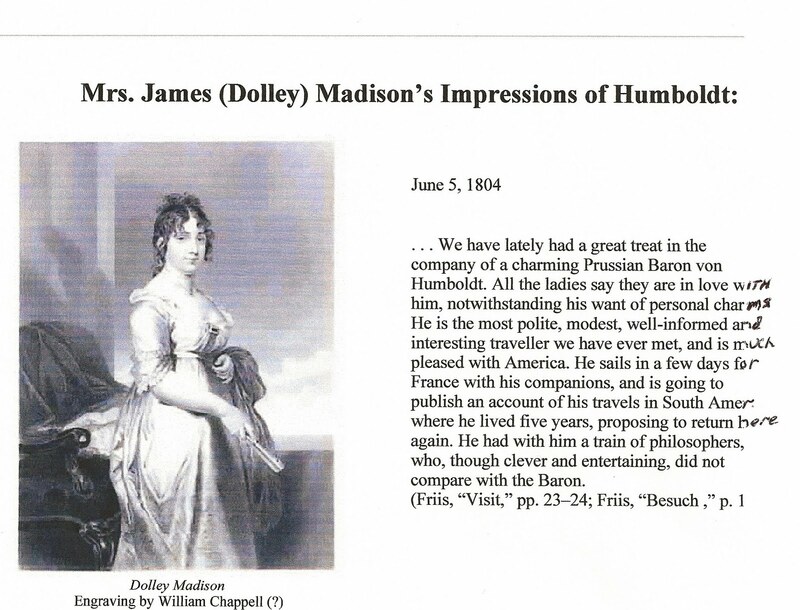 Humboldt .. a big hit with the ladies..
"I formerly admired Humboldt, now I revere him.... I shall never forget my whole course of life is due to having read and re-read as a youth Humboldt's Personal Narrative." 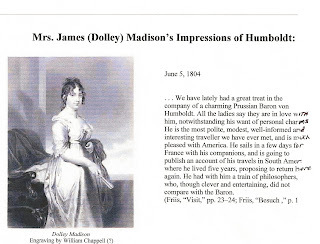 "Humboldt was one of those wonders of the world, like Aristotle, like Julius Ceasar... who appear from time to time as if to show us the possibilities of the human mind. 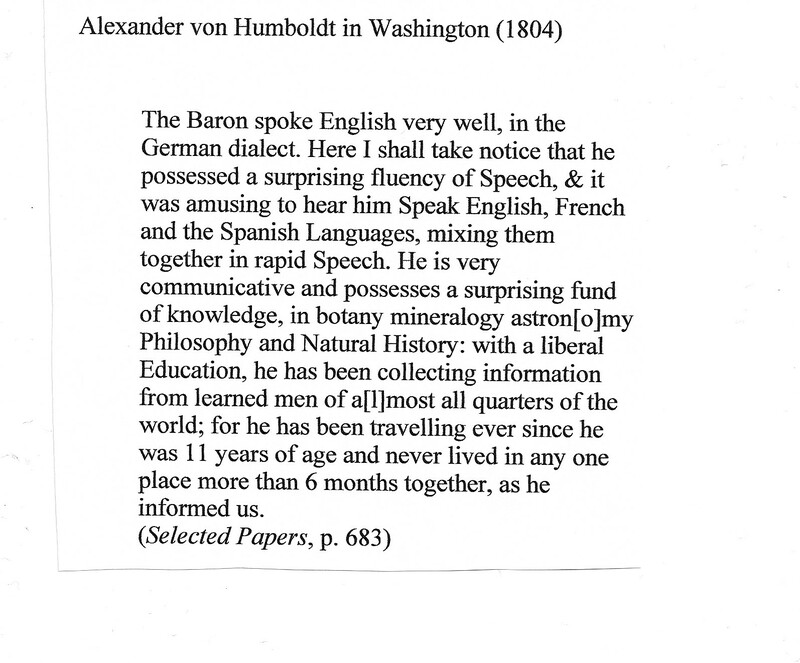 I have had the extreme satisfaction of a visit of the great man of Science, Baron Alexander von Humboldt. His communications and treasures of information fill us with impatience and hope for our future. He is a true friend to America. 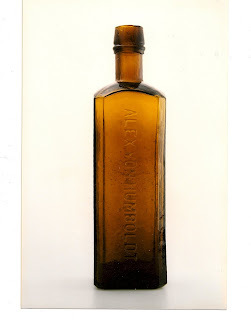 I have always thought the Alex VonHumboldt's were among the most desirable Western bitters bottles. This was an extremely well done article and adds even more mystique to this early square.Well done. M.E.